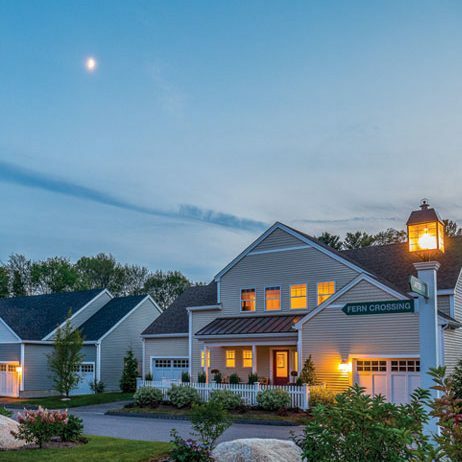 The Green Company has been creating active living communities for residents in the Hopkinton area for over 60 years. 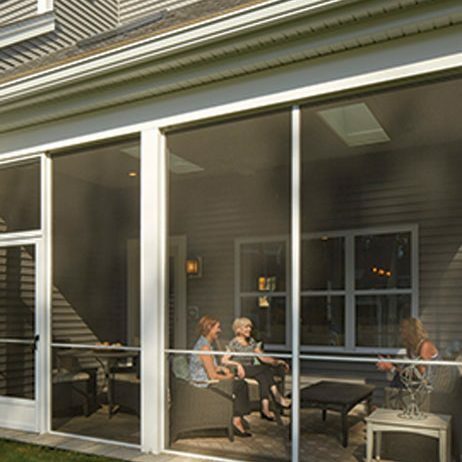 We proudly develop, build, market and manage residential condominium homes throughout Eastern Massachusetts. 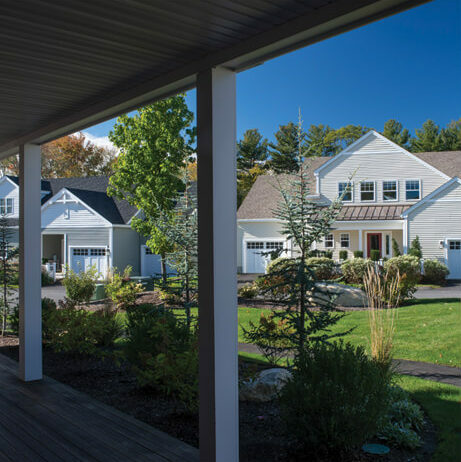 Our team has years of experience building maintenance-free homes for homeowners from the Hopkinton area that are designed for living, not maintenance. 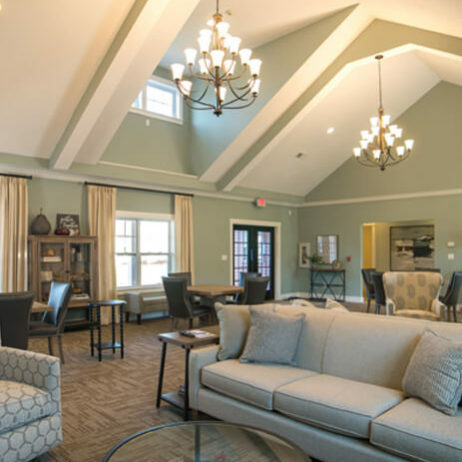 We build our communities of independent living homes in mindfully chosen locations that offer stunning views and peaceful settings and are conveniently located near amenities that are important to 55+ adults. Our communities provide convenient homes and locations that are perfect for active adults, empty nesters, 55+, and retired residents. Even though each of our neighborhoods have their own architectural design and look, all Green Company communities share the same features. Our homes are designed to invite in a lot of natural light and provide open space to move around in. Our communities are typically set in elevated areas that may feature a natural pond, wooded area, or first-rate golf courses. Our active residents enjoy miles of trails for walking, running, and biking. Some also have swimming pools, tennis courts, and even an on-site post office just for them. Our expertise ranges from building communities of all sizes ranging from five houses to 550 townhouses. Serenity is another quality our neighborhoods share. We carefully choose locations set away from major highways and roadways to provide a relaxed setting all residents can relish. Our homes are built to last due to the fact that we incorporate innovative construction materials and the most up to date appliances. Not a fan of shoveling snow? We take care of that for you, as well as general landscaping. The Green Company takes the worry out of home maintenance for Hopkinton, Massachusetts, residents and puts the focus on enjoying home life with loved ones and friends, and staying active in the community. Our Fresco homes, inspired by California design, range from 1,600 to 2,200 square feet. Our Portico homes are readily available with one or two stories to fit your requirements and lifestyle. No matter which size you choose, you’ll find a cozy farmer’s porch in the front and a private rear courtyard for entertaining or kicking back with family and friends. Several windows and lots of open space invites natural light in throughout these homes. 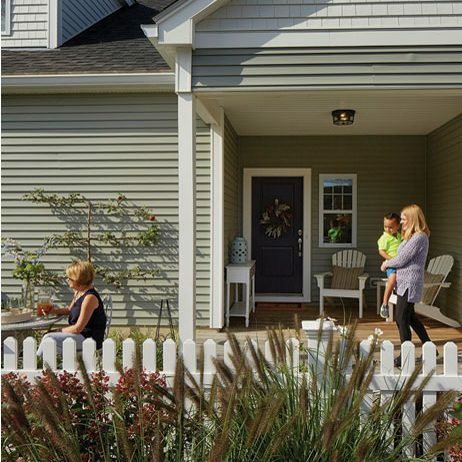 Our Portico townhouses give you up to 1,900 square feet of living space along with a front porch facing your garden area and white picket fence. Their smaller size is deceiving; like the Fresco models, these homes feature tons of storage, an open floor plan, and extra living space perfect for a guest bedroom, entertainment area, or home study. Overlooking the peaceful Ashland Reservoir and Warren Woods, this community features a swimming pool, country style central meeting house, and walking trails. 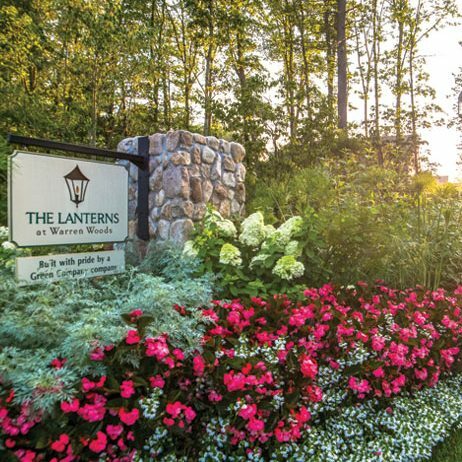 Lanterns Woods homes give you a choice of a one or two-story floor plan to you can choose the right home that matches your lifestyle and desires. Like our Hatherly Rise homes, The Lanterns homes offer plenty of roomy space, a relaxing porch, and extra room to turn into an entertainment area or guest bedroom. We recognize that not everyone wants a home that looks like everyone else’s, which is why we invite you to visit our design studio. That’s why we invite all forthcoming residents to visit our design studio to truly make your home your own. We give you your choice of features including hardwood flooring, cabinetry, countertops, fixtures, and more. There are many reasons 55+ residents can feel good about going with the Green Company other than our carefully chosen locations and professionally constructed homes. Our Pinehills community has been awarded more than 20 national and regional awards in the past five years, contributing to our long history of winning industry awards. We’re also passionate about what we do. From our design to our sales team, every employee at the Green Company is proud to help residents find a place they’ll love calling home. 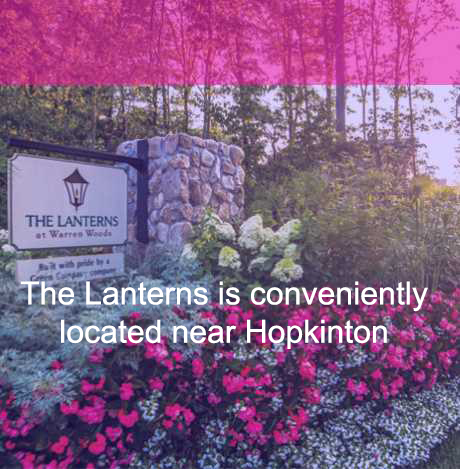 We’ve built dozens of communities in the Hopkinton, MA, area since the 1950s. 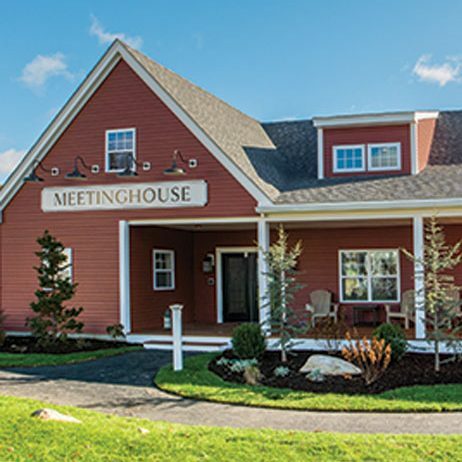 Interested in viewing one of our move-in ready Hopkinton area community homes, or learning more about what our communities offer? Contact us to book an appointment so we can introduce you to the community. Hopkinton, Massachusetts, in Middlesex county, is 6 miles SW of Framingham, Massachusetts and 25 miles W of Boston, Massachusetts. 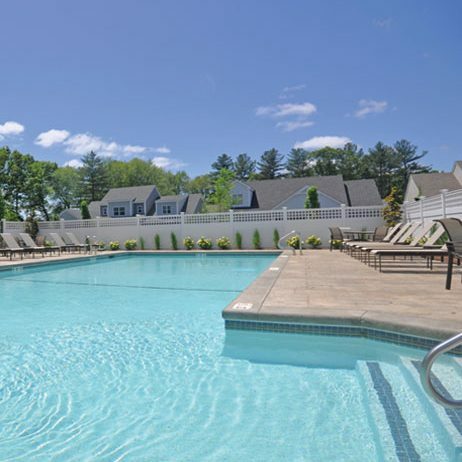 The town benefits from easy access to the nearby cities and towns with which it shares the Boston metropolitan area. At the 2010 census, the town had a population of 14,925. The US Census recognizes a village within the town known as Woodville, reporting a population of 2,550. Estimated median house or condo value in 2016: $440,276 (it was $209,900 in 2000) which is more expensive than 75.3% of the neighborhoods in Massachusetts and 88.2% of the neighborhoods in the U.S. The median income in Hopkinton , MA is $81,767. Hopkinton public schools spend $13,400 per student. The average school expenditure in the U.S. is $12,383. There are about 14.2 students per teacher in Hopkinton. The Green Company supports clients throughout all of Hopkinton, Massachusetts, including the following zip codes: 01748, 01784. 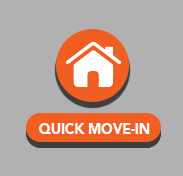 Click here to return to our MA service area page.